Creators of World Class quality English sparkling wine, crafted with passion and dedication on the South Downs of England since 1995. Made in the traditional method, a lovely, crisp wine with aromas of citrus, peach and honey, with a very refreshing finish. The second-generation family company were awarded the coveted global trophy of ‘Winemaker of the Year 2018’ in the prestigious International Wine & Spirit Competition 2018; making history for English wine. The perfect celebration wine to enjoy on its own or pair with fresh seafood. Wine of England. Perfecting the craft of sparkling wine since 1995. 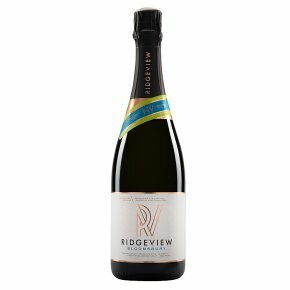 English quality sparkling wine traditional method, brut. Creators of World Class quality English sparkling wine, crafted with passion and dedication on the South Downs of England since 1995. Made in the traditional method, a lovely, crisp wine with aromas of citrus, peach and honey, with a very refreshing finish. The second-generation family company were awarded the coveted global trophy of 'Winemaker of the Year 2018' in the prestigious International Wine & Spirit Competition 2018; making history for English wine. The perfect celebration wine to enjoy on its own or pair with fresh seafood.